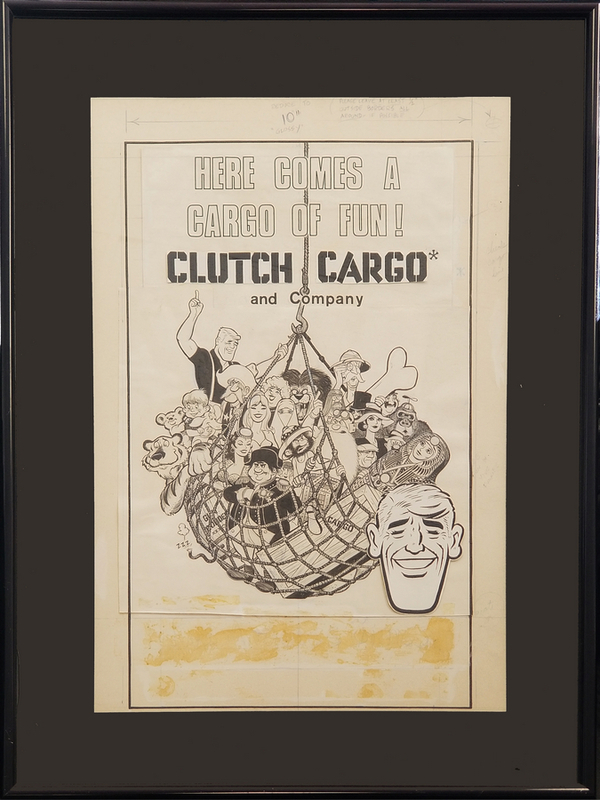 This is an original merchandise development drawing from the Cambria Studios series, Clutch Cargo. This drawing was likely created for the cover of a publication like a comic book or possibly for a full page advertisement. The drawing is accomplished in black in on paper with the large head of Clutch in the front a copied image that was cut and applied to the surface. This drawing was likely created in the late 1950s when the show was on television. The overall piece measures 28" x 21" framed with a 21.5" x 14.5" mat opening, and the image itself measures 16" x 11.5". 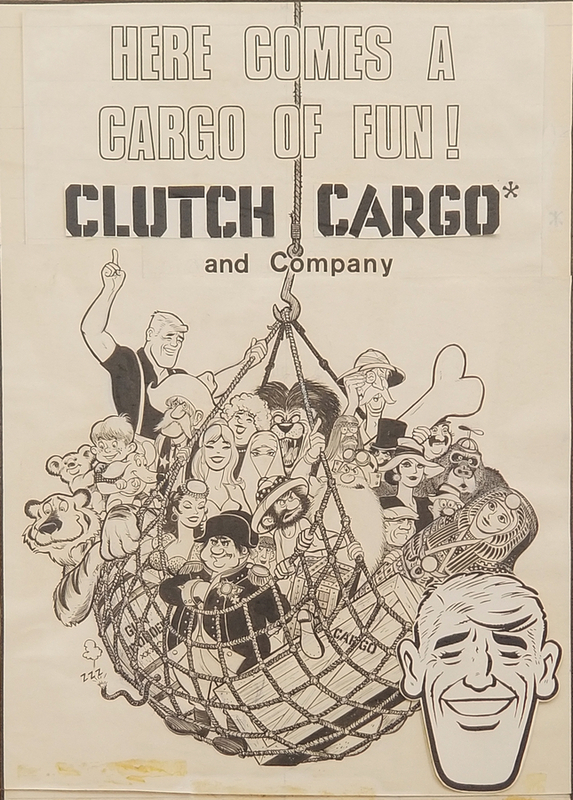 This drawing was likely created by studio cartoonist and artist, Clark Haas, but could have possibly been done by their other lead cartoonist, Alex Toth.